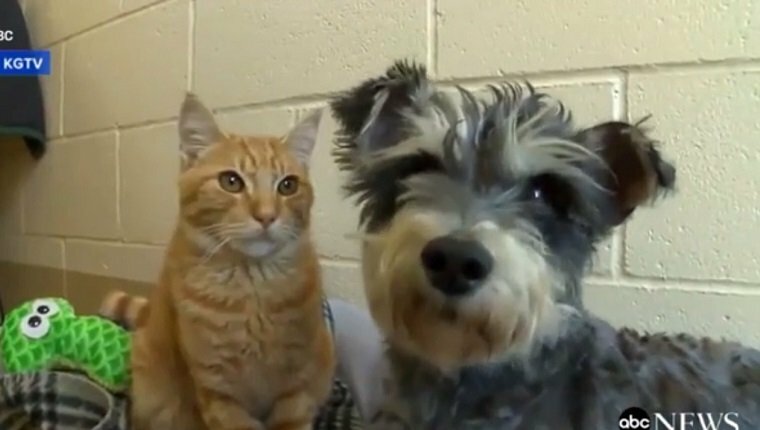 Like the Shakespearean characters that they get their names from, you wouldn’t expect Romeo the cat and Juliet the dog to fall in love. They’re from completely different species. But Cupid’s arrow sometimes hits the strangest companions. Now the orange Tabby cat and the grey Miniature Schnauzer are inseparable. The two were found hiding under a car together, Juliet huddling close to Romeo to protect him and keep him warm. 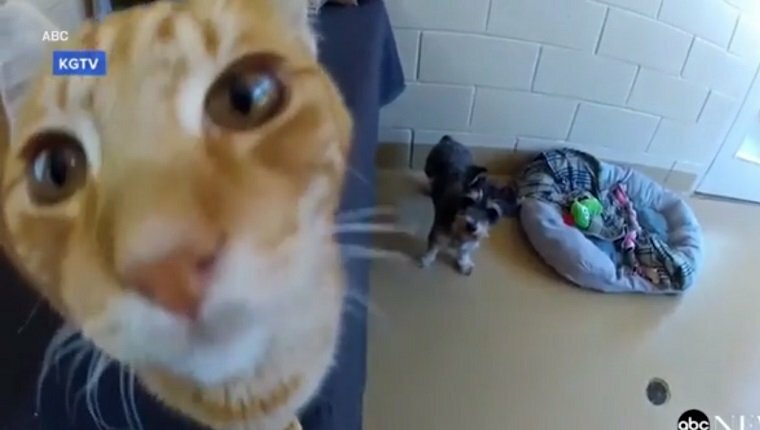 When they were brought in to Chula Vista Animal Care Facility in Chula Vista, California, they were initially separated, as dogs and cats are kept in different parts of the shelter. Juliet seemed to do alright with other dogs, but something was missing. Romeo did much worse. He stopped playing, he wasn’t eating, and his fur didn’t even look as good. The shelter workers knew they had to do something, so they brought Juliet to visit Romeo, and the change that came over him was immediate. He started to play again, and his health improved. The workers set up a special area so the two could stay together all the time. They were a bonded pair, and they’re now only available to be adopted together. 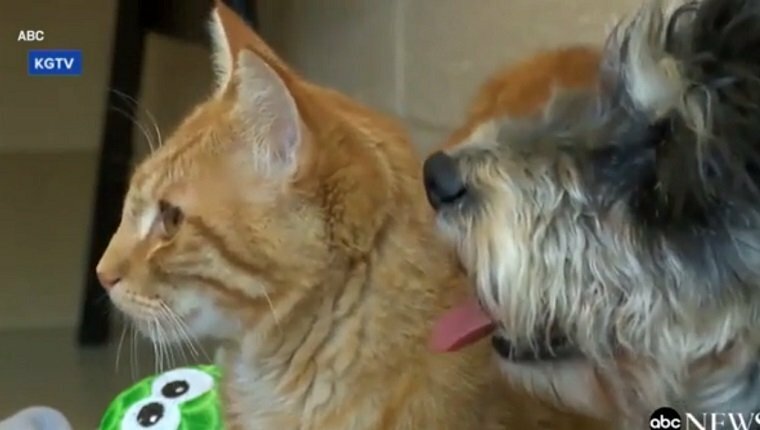 It’s the first time in the shelter’s history that they’ve seen a bonded pair from completely different species, and they deserve to find their forever home with each other. Do you have a pet that’s bonded with a different species? Let us know in the comments below!